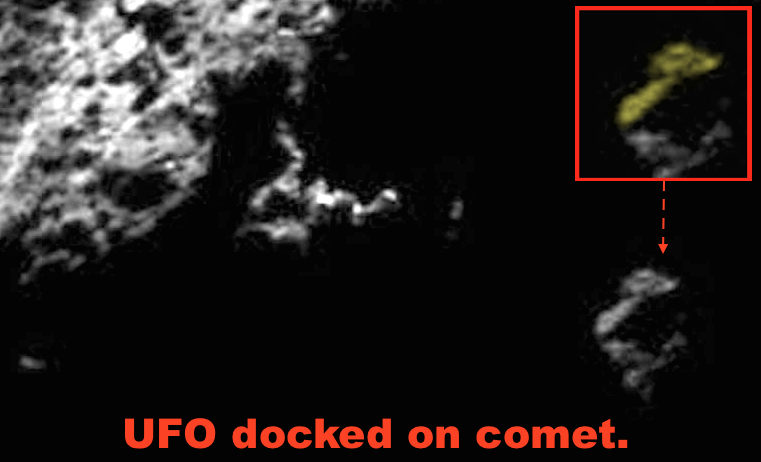 UFO SIGHTINGS DAILY: Cover Stone, Ship and Buildings Found On Comet 67P In @NASA photos, UFO Sighting News. 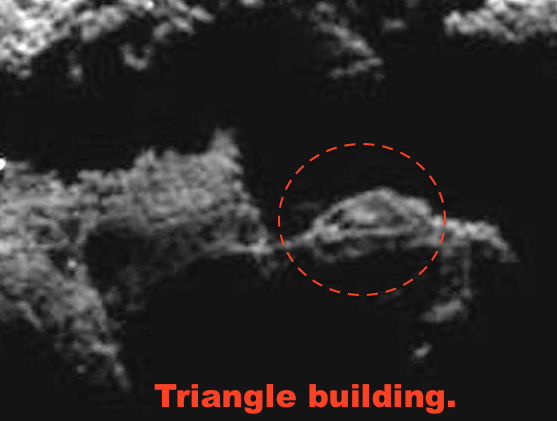 Cover Stone, Ship and Buildings Found On Comet 67P In @NASA photos, UFO Sighting News. Here is something I found the other day and its been on my mind a lot today. I found a cover stone, you know, like the one in the movie Stargate that covered the buried Stargate. The decoration on the top seems to resemble the old Japanese flag, like a sun with rays of light coming out. I believe this is the top of a building. 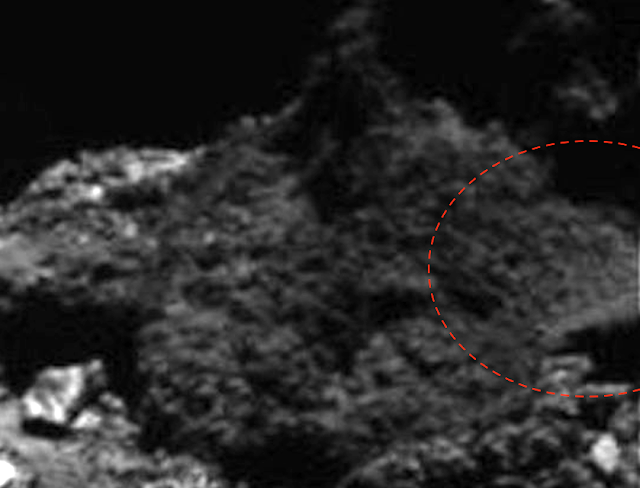 There is a lot of debris spread over about 40% of the top, and 20% of the top is missing because the original photo is cut off there. 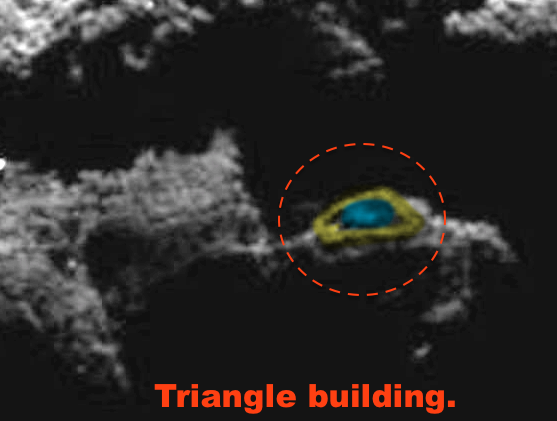 I also found a triangular building. 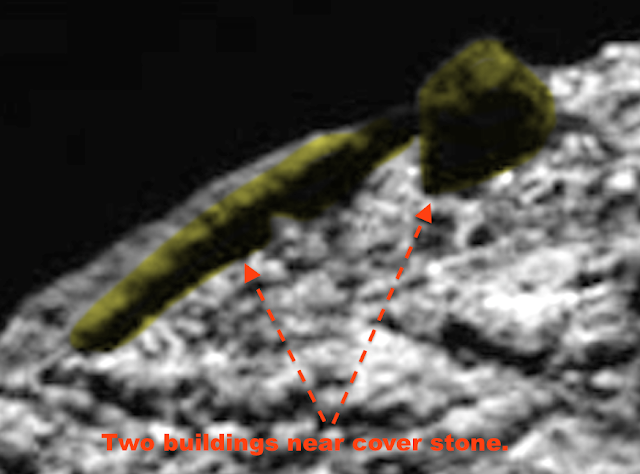 Its not a wall, its a building with a round structure in its center (below photo). There was also a long ship docked not far away. The evidence of intelligent life having used this comet is mounting. Since NASA first heard its song 20 years ago, this comet has acted like an outpost, signaling not to greet, but to confirm the territorial rights of the species that owns this area of space.